For the last two decades, a Canadian professor has collected complaints against United Airlines and posted them to his website, untied.com. Now a Canadian Federal Court has ruled that his website violates United’s trademarks and copyright. Jeremy Cooperstock, founder of untied.com, vows to fight on. He has collected over 31,000 complaints since 1997 and his website helps other travelers reach the right contacts at United Airlines. I’ve written about the website twice, here and here. The court has not ordered him to shutdown his website, but he and United have 45 days to begin negotiating how Cooperstock can avoid infringing on United’s intellectual property. We are pleased with the court’s decision. We have always maintained that Mr. Cooperstock should be able to voice his opinions, and our case was to protect United customers and avoid confusion by asking him to not use our intellectual property on his website and related channels. But did Cooperstock really misuse United’s intellectual property? I’ll say this as delicately as possible, but people tend to be careless. That’s why I can at least understand United’s confusion concerns. I get people who leave comments on this blog thinking they are actually complaining to United Airlines. 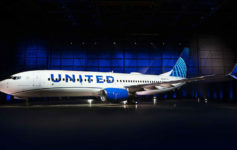 If you read the complaints section on untied.com, it is clear that many believe they are communicating directly with United Airlines. So I share that concern with United Airlines: genuine confusion does exist and that is sufficient to trigger trademark protection. At the same time, if people just read…I think Cooperstock goes out of his way to make clear that his site is not at all affiliated with United Airlines. Furthermore, his ability to easily transmit complaints to United means his website provides a valuable service. Cooperstock claims he never wanted to keep his website up for two decades and planned to take it down when United started “treating passengers with a little more dignity.” In light of the Dao incident, it does appear that he has legitimate reason to continue the operation of his website. its interesting to me that in your blog article, after saying the “people are stupid” that your autocorrect changed untied to “united”. “If you read the complaints section on united.com….” i think that was supposed to be “untied”. So maybe “careless” would be a better adjective than “stupid”, unless you want to throw yourself in the pile of “stupid” people. Anyway, I do enjoy your blog. And I don’t consider you stupid. But I do think in this day and age, people are increasingly careless. The screenshots are interesting. I think it is a great parody…..
just look at that loser’s frontpage – scamming other losers with a soft heart for “donations” that’ll go into thin air like those of those “GoFundMe” scams. Only self-proclaimed “moral warrior” losers will waste their time on his loser website. I am surprised that he only collected 37k complaints about United in 20 years. I would have guessed that it would be about 37 k a day over the past 20 years. Maybe his site could not handle the volume.